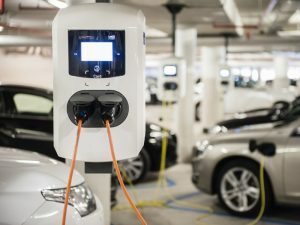 The European Commission is rolling out 60 electric vehicle chargers at its office car parks across Brussels this month, working with Dutch energy product specialist Alfen. The EC’s first 60 units are supplied by Alfen. Available for public use, the chargers are Alfen’s twin-socket ‘Eve’ units and can be monitored using an online tool showing real-time usage and functionality. The project is part of EU rules to encourage similar networks to be deployed across Member States. Yves Vercammen, sales manager at Alfen Belgium, said: “This project fits with our ambition to offer high-end charging stations for all applications. Recently, we started to deliver our public chargers to equip 305 Flemish cities with charging equipment by the end of 2017.